The new Honda Jazz facelift has finally made it to India. Prices of the new Jazz start at Rs 7.35 lakh for the petrol variant and Rs 8.05 lakh for the diesel model. The updated Jazz comes with a handful of new features that should work together to attract more buyers. Here is a walk-around video that details the new vehicle. 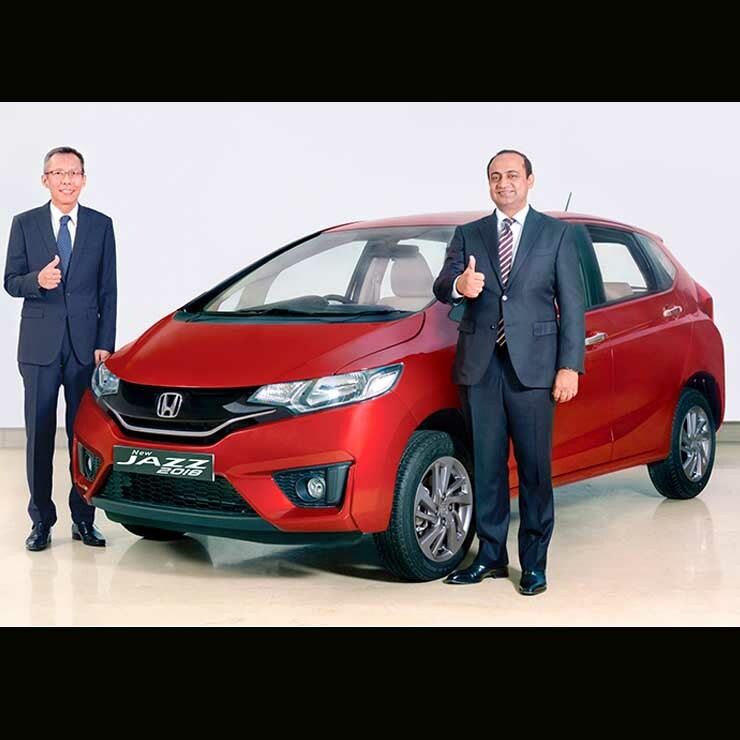 The video shows the Honda Jazz VX AT version, which is powered by a 1.2-litre iVTEC SOHC engine. As can be seen, the car looks a lot like the version it replaces. It’s worth mentioning here that the Jazz facelift for India isn’t the same as the one on sale in several international markets. While the international-spec Jazz facelift gets a set of aggressive bumpers that increase the length of the car to 4.1-meters, the Indian version misses out on this update. Sticking to the sub-4-meter overall length allows Jazz to continue benefitting from a lower tax. The biggest change will be at the rear. The 2018 Jazz facelift gets an updated set of tail-lights that carries LED fixtures. There’s a thick chrome garnish that runs below the rear windscreen. Also, the door handles have been updated with the facelifted Jazz. The new Honda Jazz facelift will be launched in three trims – S, V, and VX. The petrol version gets only V and VX trims while the diesel version offers all the trims. The new features that the S variant offers include – front center armrest, speed sensing auto door lock, driver and assistant side vanity mirror and rear parking sensor. The V trim also gets a handful of additions in the form of keyless entry, push-button start, smart trunk lock with keyless release (CVT and diesel only), cruise control (CVT and diesel only) and Paddle-shift (CVT only). The VX trim offers a 17.7-inch touchscreen infotainment unit, Android Auto, Apple CarPlay, Voice Command, Steering-mounted controls, IR Remote Control and Signature Rear LED extended tail-lights. The magic seats won’t be on offer any more. The new Jazz gets dual front airbags, parking sensors, and ABS and EBD as standard across all the trims.